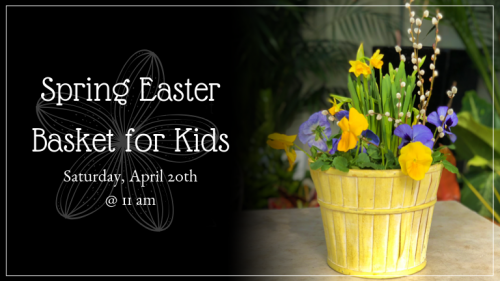 In this class, we’ll be planting pansies and other spring plants into a spring basket to make a living Easter basket that can be given as a gift or kept for your Easter table. Nothing says Easter and springtime like pansies! The fee for this class is $15.00. 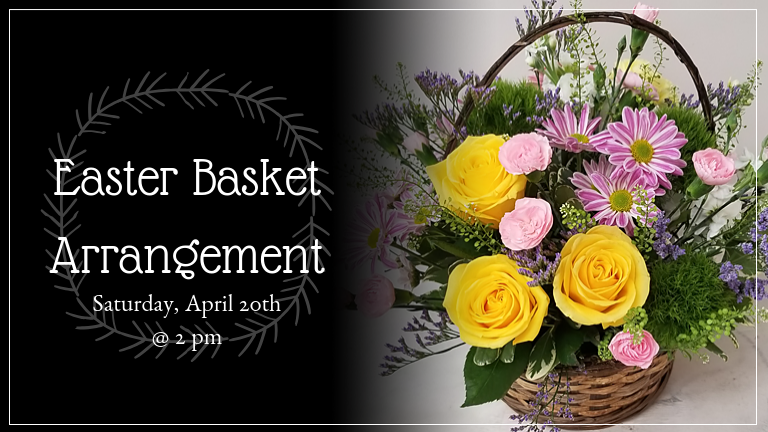 Join one of our floral designers as they guide you through designing a beautiful basket arrangement of cut flowers for your Easter table. The arrangement will feature spring colors and seasonal flower that will wow your guests. The cost for this class is $35.00.